For the crust combine flour, powder sugar, ground almonds and a pinch of salt. Add sliced butter and work it into flour, add the egg yolk. Mix and knead until well combined. 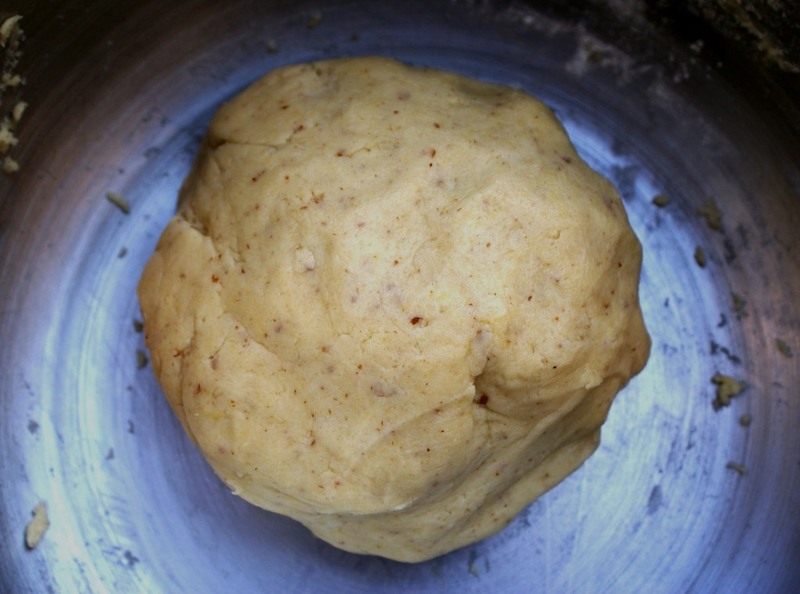 Form a dough ball, wrap in plastic and let it rest in the fridge for at least 30 minutes. Prepare a pie dish, grease it well with butter. Heat the oven to 355 F (180 C). On a floured surface roll out the dough in a circle to fit the pie dish. With the help of the rolling pin transfer the dough from the working surface to the dish, poke the bottom few times with a fork, trim the dough evenly and crimp the edges. 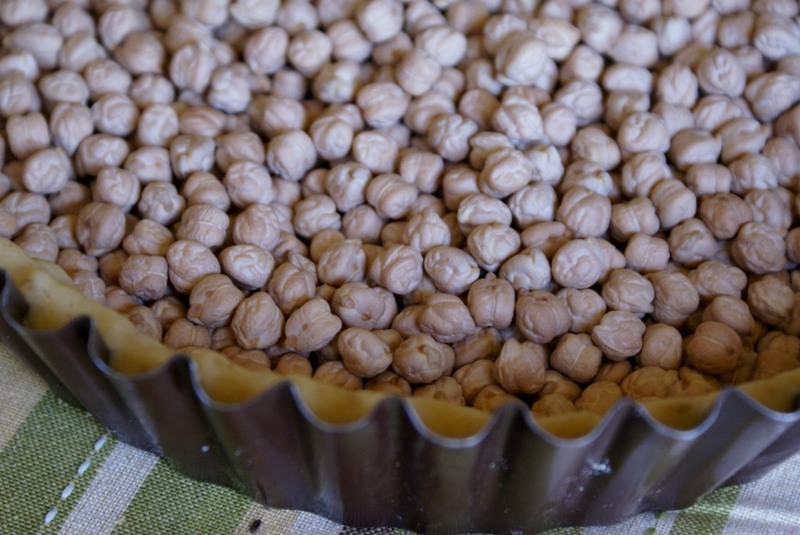 Place the wax paper on the bottom, place the dry chick peas on the top of it. Bake for about 10-12 minutes (don’t let it brown). 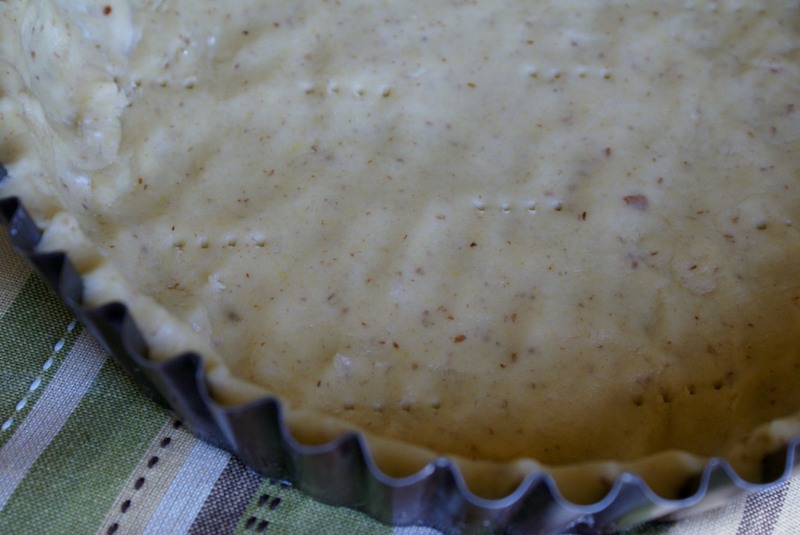 Remove the pie crust from the oven, cool for just a few minutes, then remove chick peas and the wax paper. 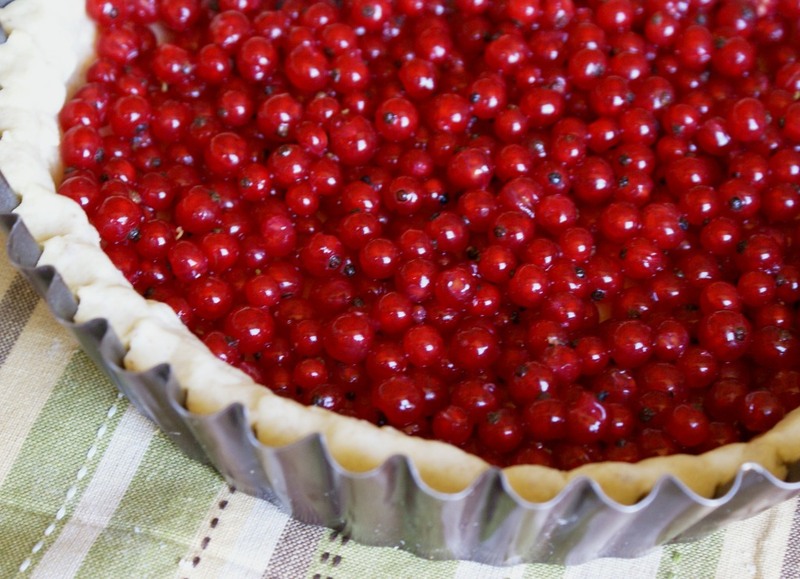 Place the washed red currants on the top of the crust. In a bowl mix together eggs, powder sugar, heavy cream and corn starch until smooth. Pour over red currants and bake for another 20-25 minutes until pie sets. If desired place a ring of aluminum foil over the edges of the pie to prevent burning. While the pie is baking, weigh the egg whites. Your sugar amount will depend on the weight of the egg whites (egg whites 1 measure = sugar 2 measures). 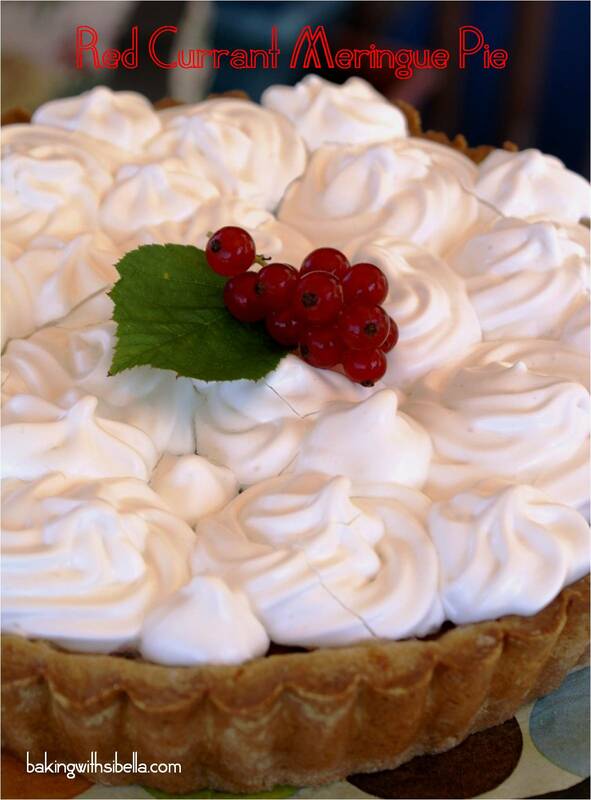 Prepare the meringue: combine egg whites and sugar and mix together until combined using a whisk. Heat it lightly over a hot water dish (bain marie) about 3 minutes mixing constantly. Don’t let the water boil. Transfer the mixture into a mixer bowl and mix on high speed for about 10 minutes or until mixture becomes very shiny and firm. 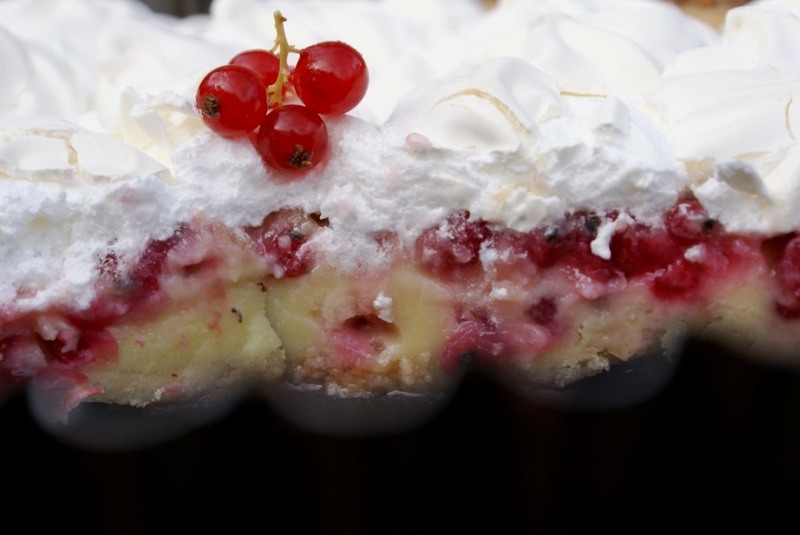 Place the meringue in a cake frosting bag and decorate the pie top. Place in the oven to 250 F (120 C) for 5 minutes and then lower to 200 F (95 C) for another 10 minutes until nice crust forms. 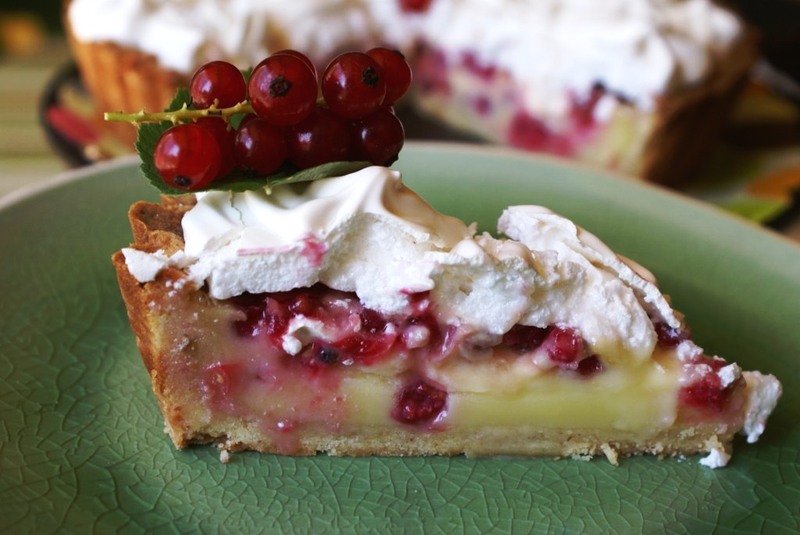 One terrific and beautiful Pie! Great job!!! Thank you sir! 🙂 I had a lot of fun making it and will be making it soon again (a different kind though). How gorgeous is this pie!! No one would ever guess that this is the first pie you’ve made, it’s beautiful! 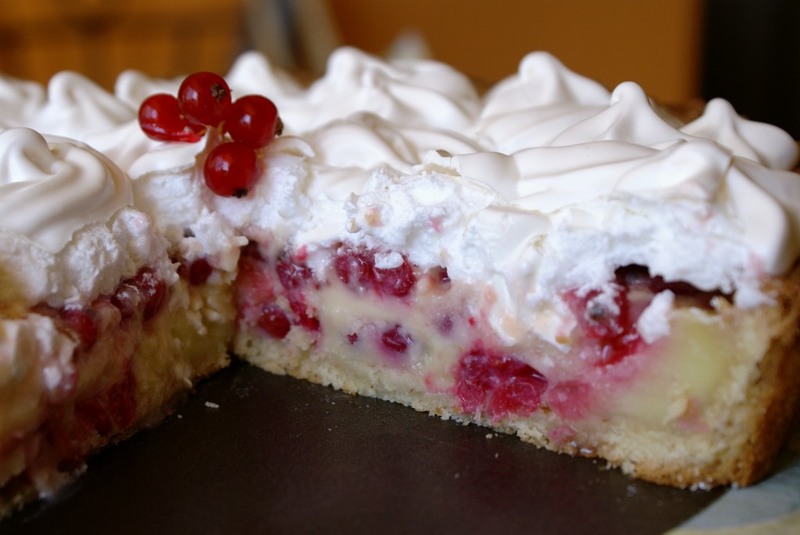 I love the meringue swirls on top and the red currants inside. Beautiful, as is everything you share here, Sibella! Thank you so much Korena! 🙂 I made tarts and galettes before, but pie is again a bit different and I loved everything about making it! Most of all I was amazed how liquidy filling sets during baking and at the end it is firm enough to cut it into slices. Great first try! The crust looks so flaky -wish I could try it. I’m with Tom, “Let me have it!” Beautiful pie. Thank you Jasline! It was a lot of fun for sure! 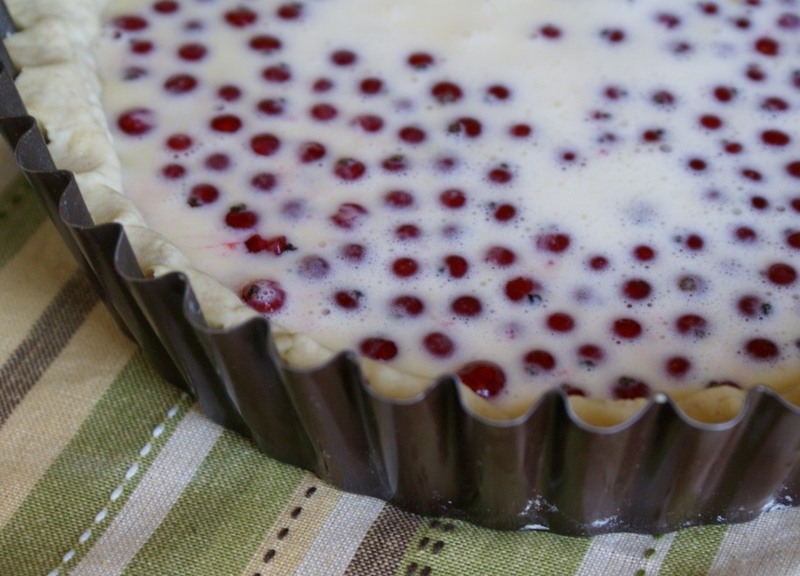 I think fall is the perfect season for pies so I already have something delicious in mind! 🙂 Have a great week! Sibella, I grew up on Tom & Jerry, so I thoroughly enjoyed your cartoon clip! What a scrumptious looking pie. 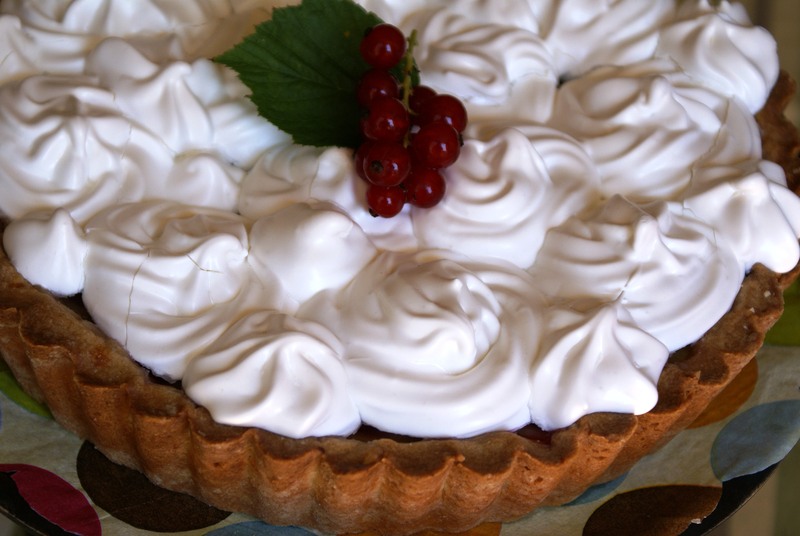 Thanks for the step-by-step on the meringue ~ how to mix it and how to bake it. I’ll be pinning this dessert! Wow this looks delicious! 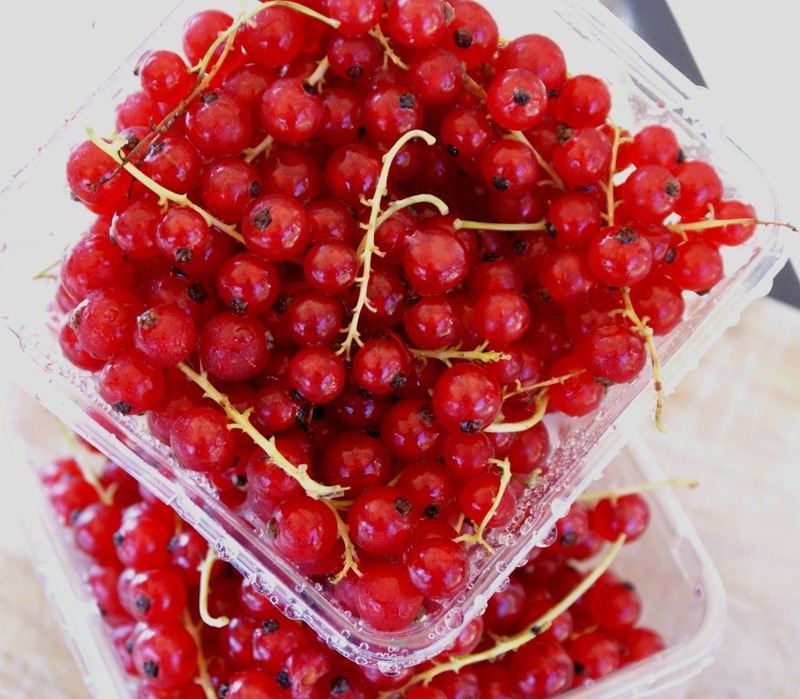 If only I could find currants around here.. Maybe I’ll try it with a different fruit..